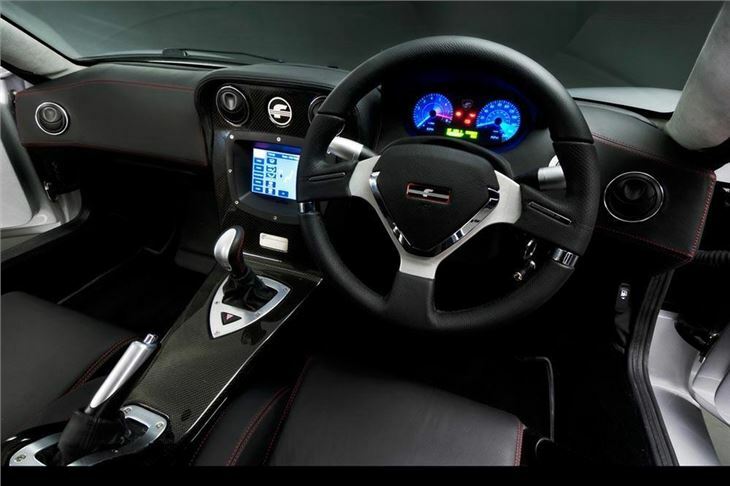 Mid engined carbon fibre junior supercar with 3.7 litre quad cam Ford V6 engine. Looks like a cross between a Lotus Elise and a McLaren MP4-12C. Loud, flat exhaust bark. Inside trim a bit basic, almost kit-car. 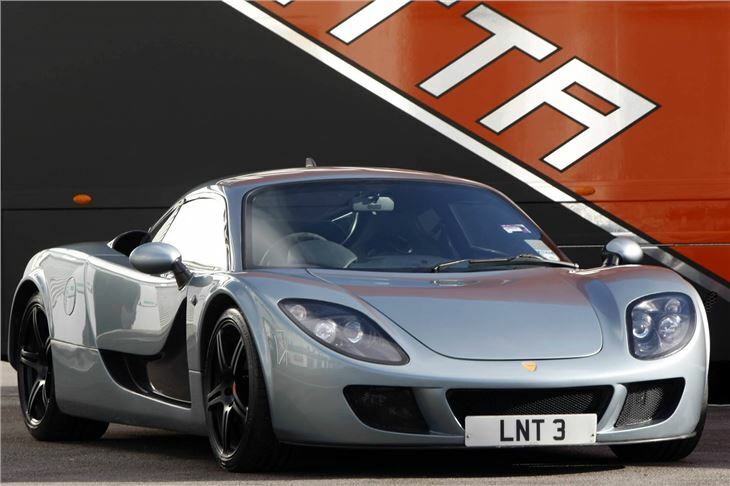 The Ginetta G60 is a stunning mid-engined, carbon fibre tubbed and bodied GT with looks somewhere between a Lotus Elise and a McLaren MP4-12C. 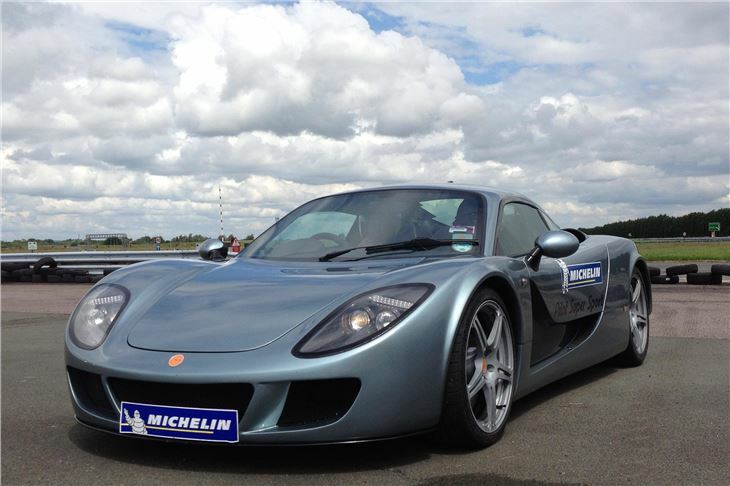 It grew out of the Farbio GTS that featured in EVO in January 2008, built by Chris Marsh (of Marcos fame) and itself developed from the Farboud GTS. 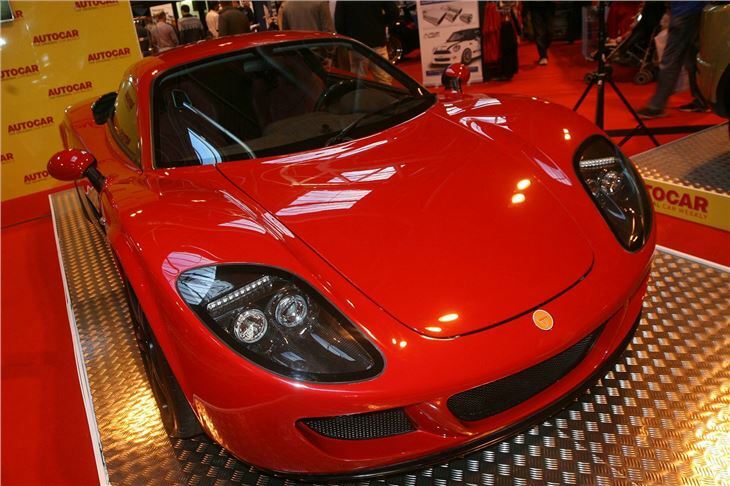 That was originally a £170,000 supercar with 440PS twin-turbo Audi engine (apparently a V6?) developed by Arash Farboud. 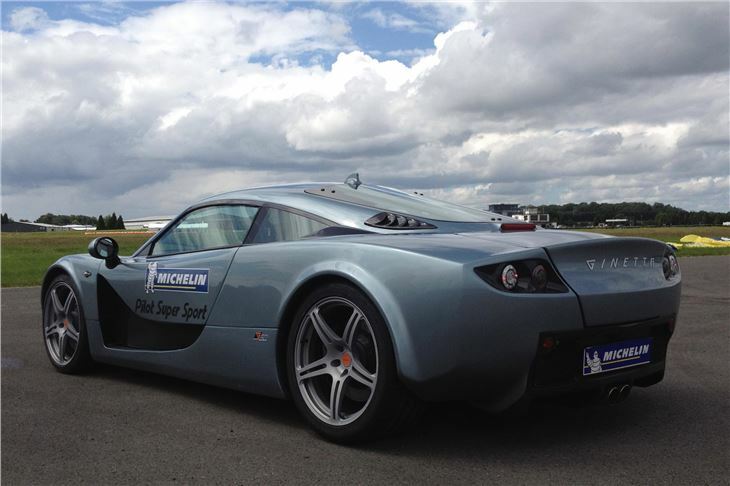 Chris Marsh has aimed to market the car at a fiver under £60,000. He fitted the car with a modified 3.0 litre quad cam V6 from the Ford Mondeo ST220, Jaguar S-Type, Jaguar XJ and Jaguar XF fityted transversely. With new inlet manifold, exhausts and a reprogrammed ECU it developed 265PS. He also offered an optional Cosworth developed version with Rotrex supercharger that put out 387PS and lifted the price to £71,675. 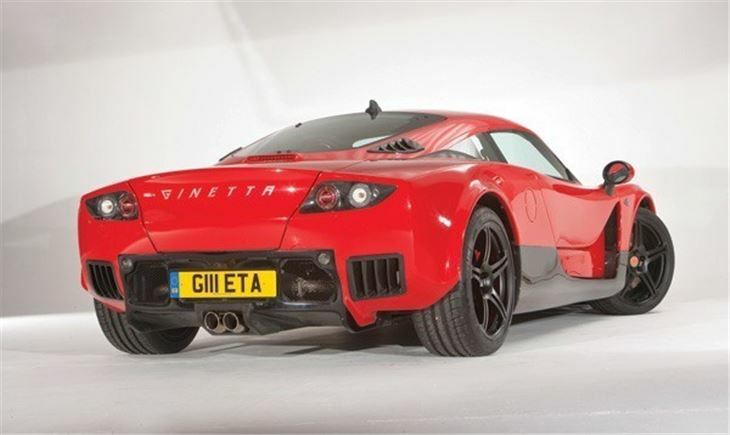 In 2010 Ginetta bought the design and rights from Marsh, rebadged the car Ginetta G60, and commenced redevelopment with a bigger bore version of the quad cam 24v Ford V6. 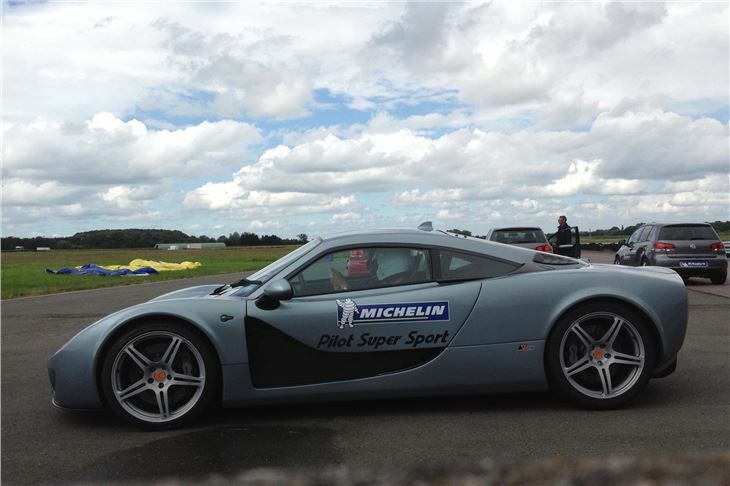 A passenger ride in the factory demonstrator G60 on 11-7-2012 revealed an impressive car with excellent grip from its Michelin Pilot Supersport tyres, but a curiously loud, flat exhaust note a little bit like a Ferrari F430 could sometimes sound.